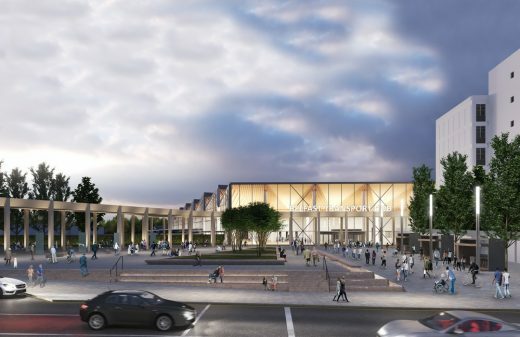 Translink has welcomed the announcement from the Department for Infrastructure that planning permission has been granted for the new Belfast Transport Hub. 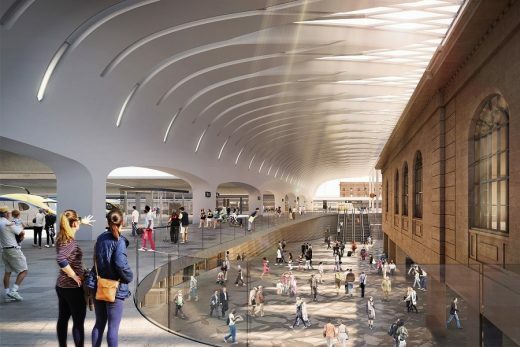 Award-winning international architectural practice John McAslan + Partners has opened a design studio in Sydney ahead of the upcoming regeneration of the city’s historic Central Station and as a base to pursue other opportunities in Australia. 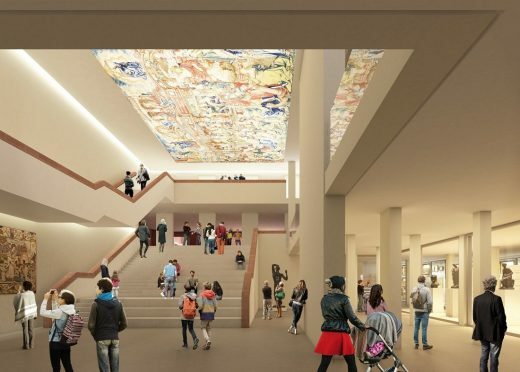 On the 7th of June we reported that John Meunier, one of the architects behind Glasgow’s A-listed Burrell Museum Building had concerns about the renewal plans. Now one of the former keepers of the Burrell Collection has also raised concerns about the £66m revamp. Richard Marks, keeper of the collection and assistant director of Glasgow Museums between 1979 and 1985, now professor at the Department of the History of Art at the University of Cambridge, raised a series of concerns about the redevelopment in the Architects’ Journal. He added: “Moreover it removes the only area where the large stained glass panels can be displayed in toto (there was no area designated for these panels originally, but one settled on by Barry and I for this reason). He adds: “As for the existing entrance arm, I disagree that it is unwelcoming; if there are problems with the internal flow surely the solution is an internal reorganisation of some of the furnishings? 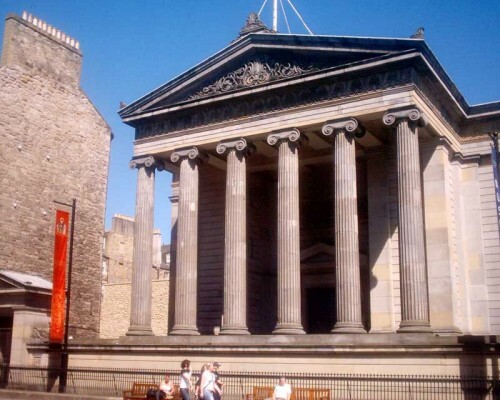 John Meunier, one of the architects behind Glasgow’s A-listed Burrell Museum now emeritus professor of architecture at Arizona State University, has issued an 11th hour plea to John McAslan & Partners to re-think their plans despite approval already having been granted by Glasgow City Council. The £66m project has been necessitated to carry out urgent repairs to the ailing 1983 structure which has been hit by extensive water ingress through the roof, presenting an opportunity to greatly increase the display space on offer as part of these works, allowing 90 per cent of the 9,000 objects to go on display – four times the number which can be put on show currently. 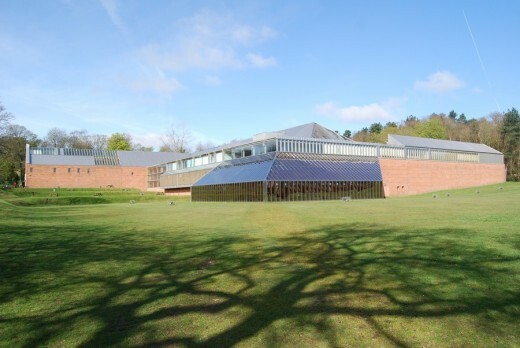 John McAslan + Partners receives planning permission for their overhaul of the Burrell Collection in Pollok Country Park, Glasgow. 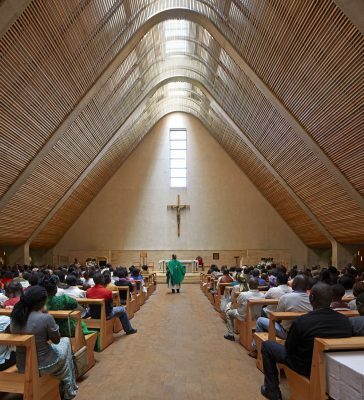 John McAslan + Partners’ Catholic Cathedral in Kericho, Kenya, has scooped the top Civic Trust Award, the National Panel Special Awards, at last Friday’s ceremony. 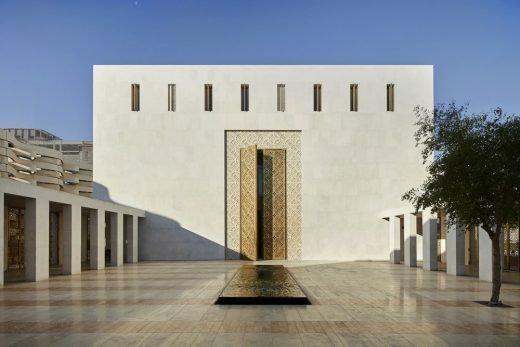 The practice’s Jumaa Mosque and Heritage House Museums in Doha also won a Civic Trust Award. The Cathedral’s design creates a unique and sacred place for a congregation of 1,500 seated celebrants participating in the liturgy of the Roman Catholic Mass under one giant unifying roof. The strikingly inclined roof and its ascending interior volume – over 1,375 square metres in size – are the key characteristics behind its design. 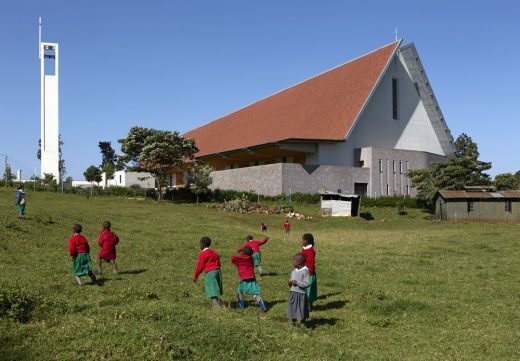 The architectural challenge was to ensure Kericho Cathedral embodied the Catholic liturgy and embraced its local congregation in a way that serves the Faith and the special qualities of its location and community. As first reported on this page in March 2016, this is a major project for the practice in the city where John grew up. 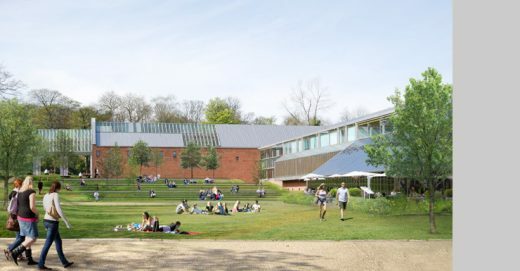 McAslan + Partners have lodged long-awaited proposals for a major overhaul of the Burrell Gallery in Pollok Country Park, Glasgow, to safeguard its long-term future. Gardiner & Theobald are undertaking the Project Management whilst Event Communications are appointed to deliver exhibition and interpretative design in the galleries. National Museum of Scotland presents ; Architects’ Conversations: John McAslan in conversation with Pedro Mendes da Rocha. The next event in the Architect’s Conversation series, to be held at the National Museum of Scotland on the evening of 21st September 2016. Join John McAslan in conversation with Pedro Mendes da Rocha, son of esteemed Paulo Mendes da Rocha, winner of this year’s Golden Lion award at the Venice Architecture Biennale and The Pritzker Architecture Prize winner 2006, as they discuss Paulo’s work and the relationship between architecture and engineering. The evening will commence with a drinks reception from 18.00, followed by an introduction and welcome at 18.45, with ample time being given for Q&A and discussion with the audience. 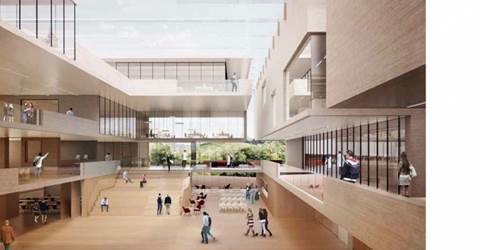 John McAslan + Partners has won an international competition to design the new GeoSciences Building for the University of Edinburgh. The University’s School is ranked in the top 16 such faculties worldwide and is the largest community of GeoScientists in the UK, home to 400 academics and research students. John McAslan + Partners has been commissioned to develop proposals for the Baitul Futuh Mosque, in Morden, South London – the largest Mosque in Western Europe, report the architects. 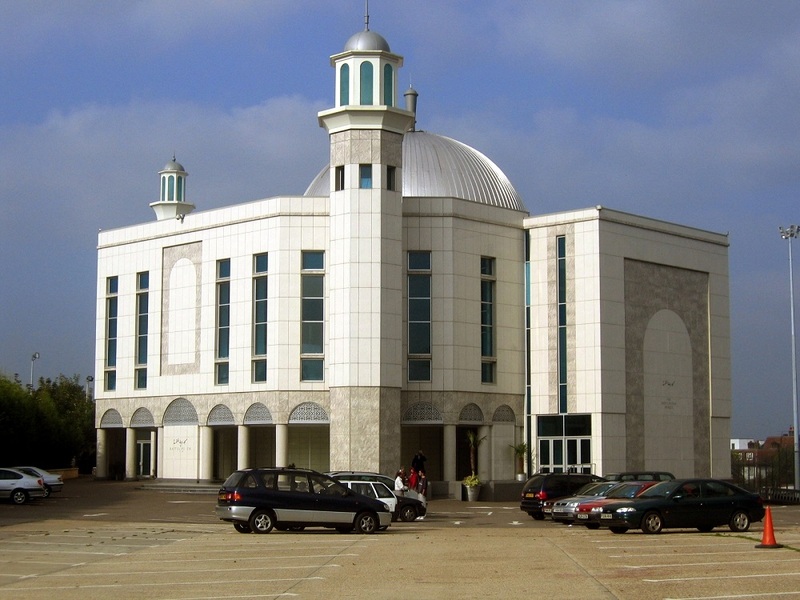 A fire in 2015 destroyed significant elements of the complex, including function halls, offices, residences and other support functions, seriously impacting on the Ahmadiyya Muslim community which the Mosque serves. Reinstating the fire-damaged elements of the building is a priority, but the practice is also exploring long-term opportunities in order to establish an overall development framework that responds to the client’s wider aspirations. 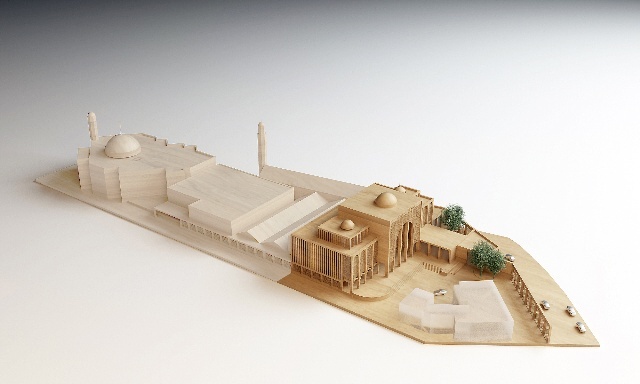 The Baitul Futuh Mosqueproposals envisage a new formal facade which would present a distinguished frontage and entrance in the form of a new wing, as well creating a more generous courtyard space and increased accommodation. 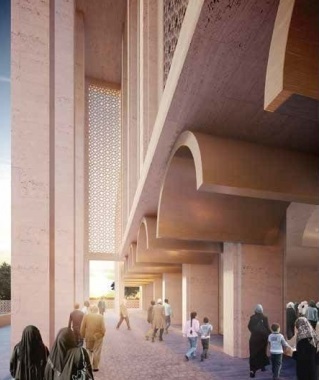 Separate vehicle and pedestrian entrances will create safer access, with new hard and soft landscaping enhancing the approach to the Mosque complex. This building is part of the redevelopment of the historic Bolshevik Factory. It will display examples of Russian Impressionist art, temporary exhibitions, lectures, concerts and multi-media presentations. redisplay plans in Glasgow, Scotland. 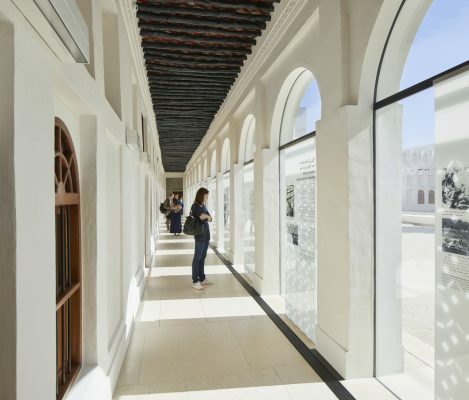 deliver exhibition and interpretative design across the Burrell’s galleries. A total of 113 suppliers expressed an interest in the tender for the Project Management led Architectural and Building Design Team. Transformative scheme for a major new building development at Brook Green wins planning approval. Refurbishment and adaptive reuse of this nationally important historic building. work includes restoration of the Town Hall’s impressive first-floor Assembly Room as a gallery to showcase the rich history of St Albans City. The Royal Incorporation of Architects in Scotland (RIAS) is taking the unusual step of issuing this press notice to highlight significant failings by the Commissioner for Ethical Standards in Public Life in Scotland in his recently published report on the George Square, Glasgow design competition. The scheme will feature covered atria ‘streets’ and office space with exceptional views over Moscow city and beyond, as well as a new art gallery space housing the client’s collection of Russian Impressionist art. One of Moscow’s most celebrated late 19th-century industrial buildings, the project comprises 17 buildings of varying ages and styles, including listed buildings dating from 1884 – the first buildings in Moscow to boast electric light. This reconfigured school in Blackburn offers 1,200 pupils a flexible, IT-rich environment, designed to transform teaching and learning. A new three-storey 8,000m² structure is located behind the original school building: conceived as a bold, fluid form, it wraps around the existing structure. The original 1930s grammar school frontage has been retained, accommodating key spaces such as the school library. 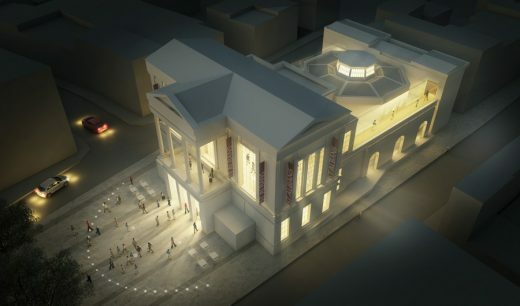 John McAslan + Partners (London, UK) have been appointed alongside Merrick Architecture (Victoria, BC), to create a masterplan for the renewal of the Royal BC Museum buildings. John McAslan + Partners wins…. The six shortlisted architect practices were Agence Ter., Burns + Nice, Gustafson Porter, James Corner Field Operations, John McAslan and JM Architects. John McAslan + Partners have an on-going relationship in promoting Haiti since working on the restoration of the Iron Market, Port-au-Prince. “Our current role is in hosting Haiti’s National Olympic House in our William Road Gallery, which showcases our work in Haiti using architectural models and photography”. Central to this is an exhibition celebrating the recent work of Donna Karan and her Urban Zen foundation. 3 Aug 2012 – John McAslan + Partners are delighted to announce their £4.25m proposal for the refurbishment of Grade ll Listed Friends House has received Planning Permission and Listed Building Consent. The London Borough of Camden gave the green light in July 2012 with work set to begin in 2013. 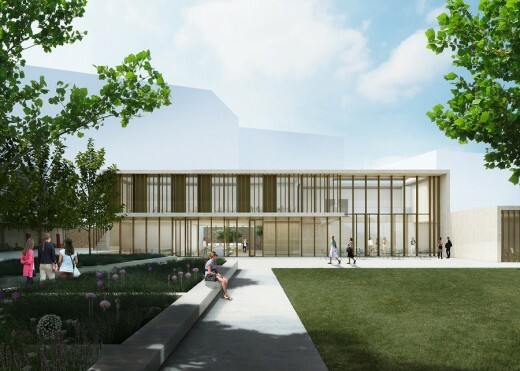 John McAslan + Partners have been appointed to assist in the design and construction of a new home for the University’s Engineering Department. 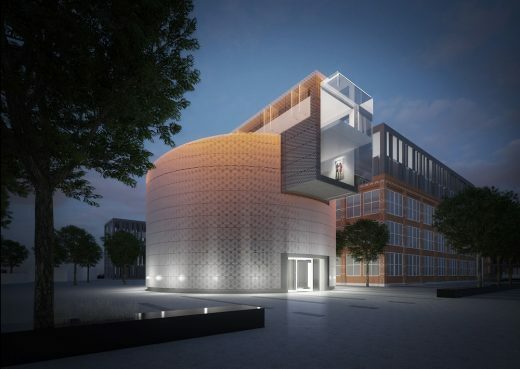 The competition winning scheme will deliver 4,720 sqm of workshop, laboratory and office space in two concrete-framed wings set either side of a continuous, four-storey high atrium ‘street’. The station concourse is now open to the public. The Seagrave Road project, designed by John McAslan + Partners, forms part of the wider Earls Court masterplan and consists of over 800 new homes ‐ a mix of town‐houses, apartments and affordable housing ‐ distributed across eight blocks, including a 16‐storey tower. The scheme for Capital & Counties Properties creates a seamless urban connection between the site, its existing neighbourhood and the emerging Earls Court Masterplan. The site is located just to the south of the Earls Court Exhibition Centre. Phase 1 is expected to start in 2013, followed by Phase 2 in 2014. When the Haiti earthquake mangled Port-au-Prince’s Iron Market, it destroyed a symbol of the nation. Built in France and bound for Cairo to serve as a railway station, the vagaries of history, tides or captains led it to end up here, where it served as a perfectly good market hall until ravaged first by fire in 2008 and then by earthquake. Redevelopment by John McAslan + Partners of the historic 4ha Stanislavsky factory and theatre site in central Moscow transformed a degraded mixture of 19th century and 20th century building stock into a vivid cultural and mixed-use development. GC Campden Hill LLP, a 50/50 joint venture partnership between Native Land and Grosvenor has been granted planning consent by The Royal Borough of Kensington and Chelsea for its two-acre, super-prime residential development at Campden Hill, overlooking Holland Park. 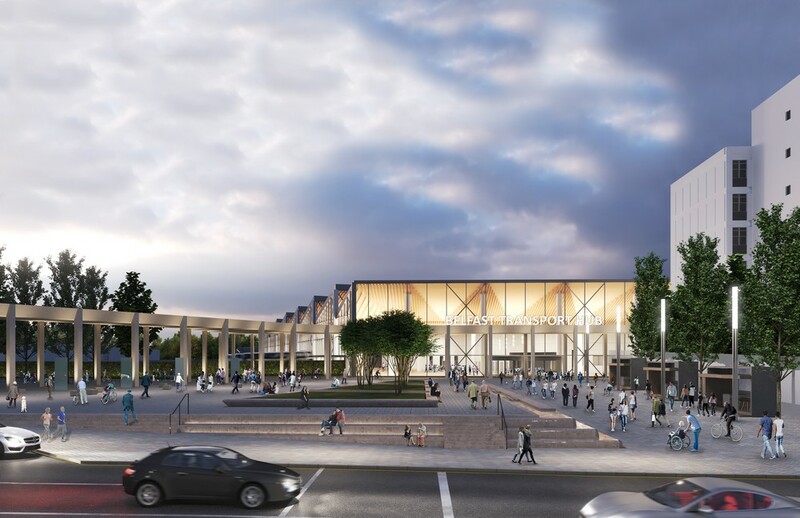 John McAslan + Partners wraps-up planning approval for Bond Street Crossrail. The latest approval to be granted by Westminster City Council is for a masterplan station around the eastern side of the scheme, facilitating enhanced accessibility to the ticket hall at Hanover Square. John McAslan + Partners – architectural and design practice based in London, Manchester and Edinburgh. March 7, 2019 in Architects.